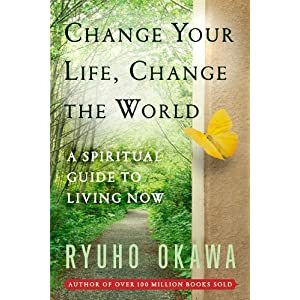 In Change Your Life, Change The World, Master Ryuho Okawa presents an unfaltering spiritual foundation for a world in constant change. The timeless truth he shares is that life is not restricted to our one little planet but flourishes across vast stretches of the universe through the Cosmic Tree, the Tree of Life. We are all responsive to the same creator, and are part of a much larger universal family than we ever realized. An understanding of this and of the scale of creation can help us solve our problems here on Earth. With greater wisdom, we can make hatred and conflict disappear. Master Okawa shows us how to work toward this spiritual goal– to undertake the journey to planetary harmony– through practices that are easy to understand and which can be integrated into our daily lives. On this journey, you will be assisting the spiritual mission that lies at the heart of all God’s creation. Master Ryuho Okawa is a living Buddha and the founder and spiritual leader of Happy Science. He has a law degree from the University of Tokyo and studied international finance at the Graduate Center of the City University of New York. In 1986 he renounced his business career and established Happy Science, the most influential spiritual movement in Japan that now has more than 10 million members worldwide. Master Okawa is the author of more than 500 books and periodicals and lives in Japan.His most recent book "Science of Happiness" (Destiny Books),presents the foundational teachings of the Happy Science spiritual movement (more than 10 million members worldwide).